The brand new screening room at 92YTribeca. A trip to the movie theater was once a living and interactive experience, with live musicians accompanying the images on the screen behind them, giving the entertainment a different kind of pulse. The kind that even Hannah Montana in 3D doesn't have. 92YTribeca, the Hudson Street branch of the 92nd Street Y that opened in October, is re-imagining this experience anew — even for those who might never have heard of Clara Bow or sat through a Charlie Chaplin short. 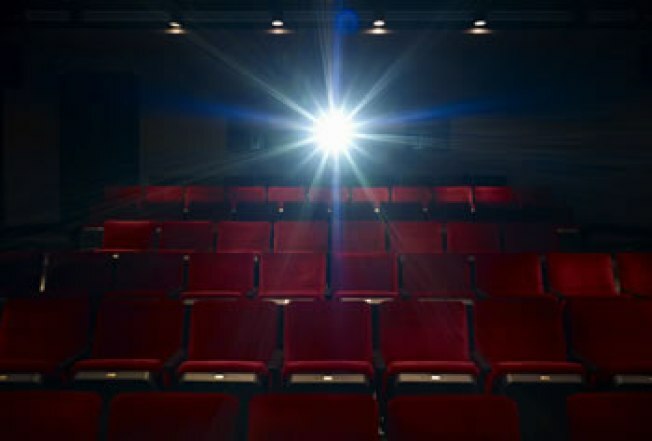 The idea to have musicians playing the screening room while different shorts are projected is inspired by tradition, but in no way mimics or tries to re-create it. Three bands will take very different approaches to a night at the movies at midnight this Saturday Dec. 6. Brooklyn-based experimental jazz and classical trio ON/OFF take a crack at accompanying two of Roman Polanski's early black and white short films: "Break Up The Dance" from 1957 and the violent and absurdist "Two Men and a Wardrobe." Twi The Humble Feather play a mixed bag of technicolor and symphonic sounds that splits the difference between Philip Glass and Animal Collective, which will be paired with an appropriate jumble of projected images. And for something completely different, ambient experimentalist Martin Hayes puts music to sports footage. Whatever it will be, don't expect "Inside the NFL." Tickets are $10 (in advance or at the door) and include a beer. Which really, is quite a deal, considering $10 wouldn't even get you into the theater to see "Transporter 3."